News of the riot in Little India on Dec 8 first reached me when someone flashed me what looked like headlines, with pictures and a video. That was how quick the social media picked up the action. The event did not “break” on mainstream media, as far as I know. 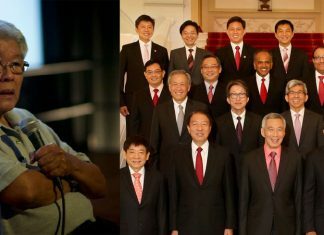 Once again, the power of alternative media was on awesome display, just as it was in the 2011 and 2012 elections – General Elections, Presidential Elections and Punggol East by-election. Far from causing confusion and panic, the relaying of on the ground information to the general population who could be reached was helpful. People did not have to rely on rumours and controlled news. They were sophisticated enough to see through distortions and concoctions. More remarkably, the major portion of the social media acted with restraint. They knew what was at stake if they stoked the fire. Should they have tried, for whatever stupid reasons, they would have lost all credibility anyway with readers or viewers. The role played by the social media would already have made the Sunday =riot very different from those which took place in the 1950s and 1960s. =We shall talk about only four of them. The Hock Lee bus strike began peacefully on April 23 1955 but escalated into a violent riot on May 12 in which four people were killed and 31 injured. At issue was a battle over who had the right to represent the bus workers – a trade union sanctioned by the bus company management or a rival pro-communist union. During the strike, large numbers of dismissed bus workers (belonging to the pro-communist union) locked themselves in the Hock Lee garages at Alexandra Road and picketed at the gates. On May 10, the pickets rioted when they were forcibly removed by the police. On May 12, they were joined by several lorry loads of Chinese school students and the violence that followed led to the death of two police officers, a journalist and a student. Chinese middle school students continued to play a part in subsequent =riots in what was essentially a struggle for power between more moderate =political forces, including the Lee Kuan Yew team in the PAP leadership, =and the leftist faction of the PAP. The 1964 and 1969 racial riots were the third and fourth sets of serious riots in recent history which saw the loss of lives. Both were a spillover from the racial tension and riots between the Malays and the Chinese north of the Causeway. In the 1964 riots, 23 people were killed and 454 injured. In 1969, four were killed and 80 wounded. Unlike these previous riots, which we could attribute to the troubled post-independence settling down phase, Sunday’s riot was not unavoidable. It was coming. All the ingredients have been there every weekend waiting for an incident to happen. Busy sales of alcohol, thousands of people squeezed in one tight area, traffic congestion (cars and coaches practically honking and fighting for space with a sea of pedestrians), and so on. And we are not talking about tourists out to have a good time, all fresh from their four-star or five-star hotels descending down onto an ethnic enclave to savour the sights and sounds of the enchanting locals. These tired workers have been ferried from their non-luxury dormitories, where sometimes eight workers are placed in one room, all the way to Buffalo Road to let their hair down. They are in a good mood insofar as venting their frustrations could make them forget their problems in a tough life an Indian Ocean away from their homes. The question is: How did our efficient police ignore what has been taking place in Little India? Anybody on the ground would have told you of the proliferation of liquor stores in Little India. For example, out of 23 shops in Chander Road alone, seven sell liquor. And has there been accurate ground feedback on what some say were reports of rowdy behaviour? The whole idea of allowing thousands of foreign workers to congregate in one cheek-to-jowl spot – in Little India and overall on this small island – is untenable in the first place. I think most Singaporeans do not wish to pay the price of a lower quality of life and potential unending social tension. The Little India riot is NOT an isolated incident. It is a symptom of a false hope that everything is alright if you just continue to be in self-denial. This is not being xenophobic or racist. It is a cry to stop turning what was once an exhilarating dream – of a great city – into a nightmare.